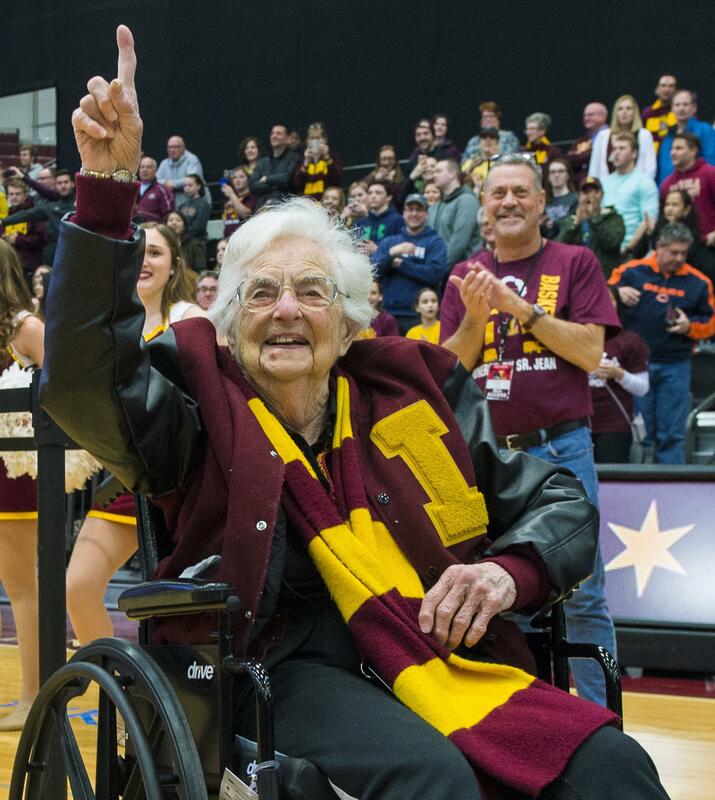 CHICAGO – Sister Jean is celebrating her 99th birthday months after gaining national attention as chaplain of the Loyola-Chicago basketball team that reached the NCAA Final Four. The university held a campus party with students and school staffers Tuesday for Sister Jean Dolores Schmidt. The Catholic nun became a celebrity last March for her fandom and for praying before each game for her Ramblers – and for their opponents. Published: Aug. 21, 2018, 9:08 a.m.